Well done Golden Dawn. I wish Nationalists in the UK would get their act together and start fighting back in the way that you are. You're an inspiration to us at the British Resistance and give us the belief that all is not lost. Our love for our race can't be destroyed by the jew. you're exposing every lie it ever told about Nationalism. The birth place of the European tradition should be where it's saved. Hail the Dawn. Hail Victory. You never see communists or anarchists doing this, actually helping their own countrymen. BEWS, can you give me the points of Golden Dawn electoral plan for the last elections they participated? I remember it was 20 or 25 points. Sorry for the delay, I will translate the 20-Point Program as soon as I can. Keep at it, Scare the Zionists. This is what European culture should be about - looking after your own people first rather than your own backside and lining your own pockets with their money. 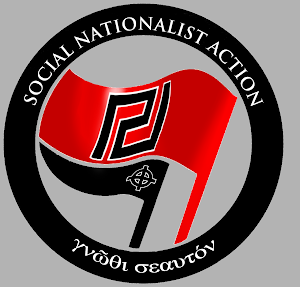 How can anyone seeing Golden Dawn in action say they are anything but fine warriors and heroes? I hope we get something similar for he UK soon. Absolutely fantastic! This is what it's all about. 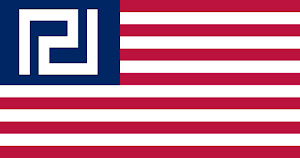 Nationalism at it's best. Looking after the indigenous people of the country. Brilliant. You are a shining beacon of light in Greece. You have our full support from us Nationalists here in the UK. I love you guys. You give me so much hope for European mankind. I wonder if there is interest in connecting unemployed young people to the other end of the food supply, the production end? I know there are organization like this: http://wwoofgreece.org/ for introducing people to agriculture, but I don't think there are formal organizations for encouraging people to get skills necessary for profitable agricultural production, plus a way to put together these skills with business know-how to receive funding, perhaps from local credit unions instead of big banks. Knut Hamsun was a Social Nationalist who wrote a book -- Growth of the Soil; http://www.natvanbooks.com/cgi-bin/webc.cgi/st_prod.html?p_prodid=206&p_catid=&sid=2h@Kgi2yz0Ng7or-00112511286.5e -- which brings home the fundamentality of the connections between men, women, and earth. 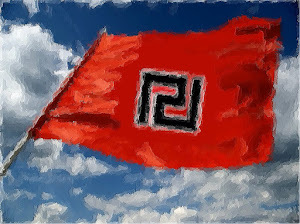 God bless Golden Dawn ! The only greek party to care about its people ! I wish it could be the same in France ! Every Nation will get its chance. You will have our help, but you must all rise in defiance against what the "society" commands you to do. Wake up, and wake them up.